The tabla are the drums from North India, and are an integral part of all facets of classical music and dance. They have immense versatility, and incredible range of sounds, and a vast repertoire. in recent years, they have become more prominent inmany forms of world music. The tabla have been predominantly accompanying percussion instruments, but it has been my vision with this album to bring them to the forefront as a solo instrument, and provide audiences with a chance to experience their beauty, range, repertoire and adaptability. I have studied the art of tabla for the past 20 years, and from my travels in India and Canada, I have been inspired by the interest to audiences to present the elements of a traditional tabla solo recital in a modern format. 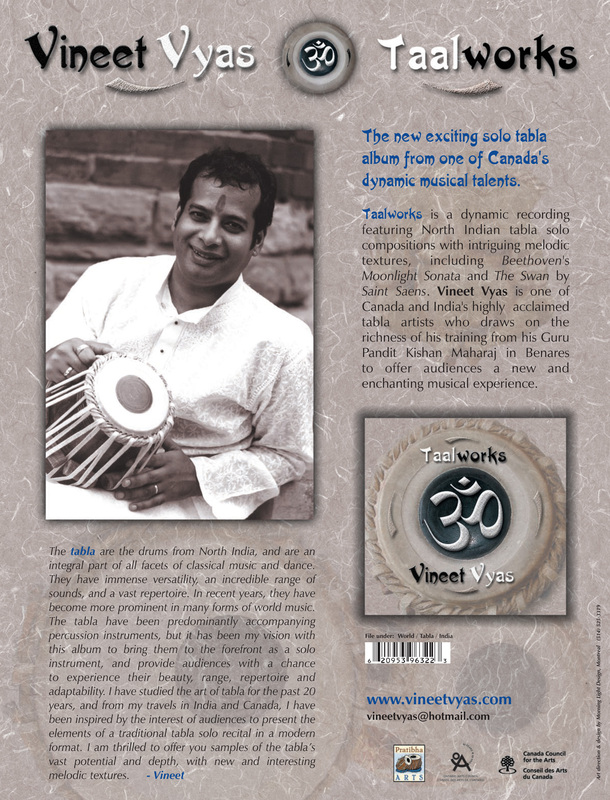 I am thrilled to offer you samples of the tabla's vast potential and depth, with new and interesting melodic textures. 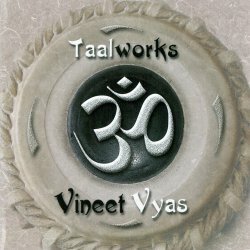 Taalworks is a dynamic recording featuring North indian tabla solo compositions with intriguing melodic textures, including Beethoven's Moonlight Sonata and The Swan by Saint Saens. 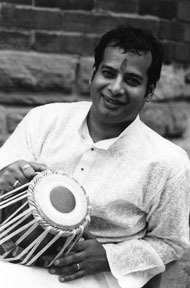 Vineet Vyas is one of Canada and India's highly acclaimed tabla artists who draws on the richness of his training from his Guru Pandit Kishan Maharaj in Benares to offfer audiences a new and enchanting musical experience. Click on the links to hear 128kbp/s mp3 selections. Download the album artwork, by clicking on the images below, for more in depth information on the album.